After some pretty dodgy looking doughs, I think I have finally perfected the perfect pizza crust. Bring it together for a few seconds on speed 6, then knead for two minutes. Wrap it up and rest it for around 20 minutes, before dividing in two and rolling out in to a circle and putting on pizza trays. Top with, well, whatever you want really. The one in the picture was smothered in hummus, drizzled with olive oil before being topped with feta, zucchini, chives and roma tomatoes. 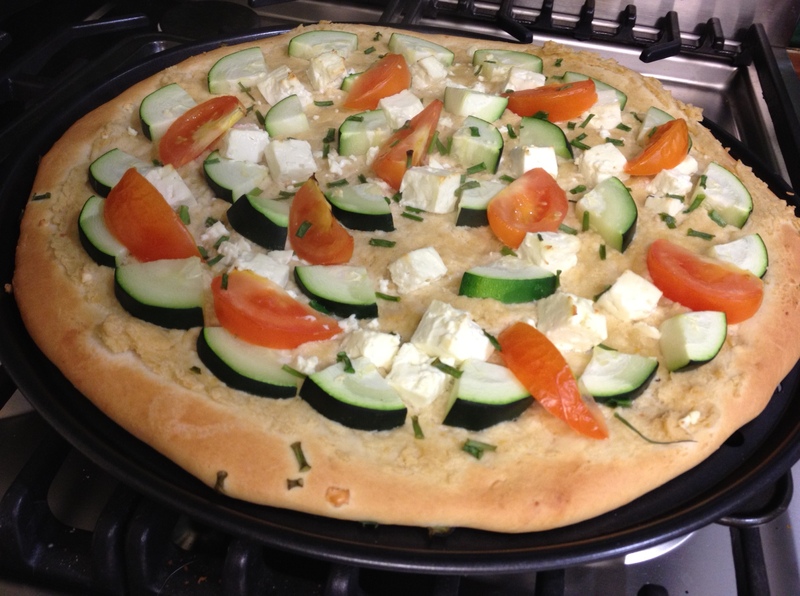 This entry was posted on Thursday, November 15th, 2012 at 11:12 am	and tagged with pizza, spelt, thermomix and posted in Food. You can follow any responses to this entry through the RSS 2.0 feed.